Grade 9-College. Students have the opportunity to use concepts from physics, chemistry, and biology to help solve a fictional crime. 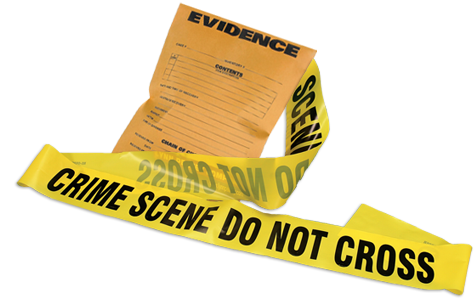 Using deductive reasoning and scientific methodology, students process evidence from the crime scene and integrate concepts--such as data analysis and scientific writing--to help build a compelling case. This kit is designed for 36 students working in 12 groups of 3. A local power company's sign lies damaged and the police need your help to put together the pieces and identify the potential culprit. Students jump into the role of forensic scientists as they work to solve this fictional crime involving a car crash. Using deductive reasoning and scientific methodology, students process evidence from the crime scene and integrate concepts--such as data analysis and scientific writing--to help build a compelling case. Students stay engaged throughout the investigation as they: process blood evidence to learn about genetics for biology, identify unknown white powders to hone their chemistry knowledge, and recreate a crash model to reinforce physics principles. This kit compellingly brings forensic science into your classroom. The kit is designed for 36 students working in 12 groups of 3.